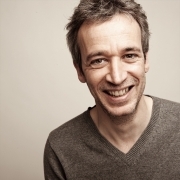 Laurent de Wilde is a musician, producer, writer and radio host. Born in 1960 in the United States, his family moves back to France when he's 4, and he studies in Paris all the way up to the Ecole Normale Supérieure, rue d'Ulm, which he joins in 1981. In 1983, he moves to New York, where he resides for eight years, learning jazz piano. He starts performing professionally at the end of the 80's and records his first albums with Jack DeJohnette, Billy Hart and Eddie Henderson ( Off the boat, 1987, Odd and blue, 1989, Colours of Manhattan, 1990, IDA Records ). Back in Paris in 1991, he pursues his musical career and is awarded the Prix Django Reinhardt in 1993 for his album Open Changes (1992), still with IDA. He then records two albums for Sony, The back burner (1995) then Spoon-a-rythm (1997) which grants him the Victoire du Jazz in 1998 as the Revelation of the Year. At the same time, he writes a biography of Thelonious Monk (L'Arpenteur - Gallimard,1996, then Folio, 1998), which is translated in English, Spanish, Italian and is awarded the Prix Charles Delaunay of the Académie du Jazz. During the 2000's, he immerses himself in electronic music, a musical genre in which he releases six albums (Time 4 change, 2000 and Stories, 2003 for Warner Jazz, Organics, 2004, then PC Pieces, 2007, with Nocturne, Fly, 2010, then Fly Superfly, 2014 with Gazebo). From then on, Laurent follows simultaneously a wide variety of projects : his own jazz trio (The present, 2006, Nocturne, Over the clouds, 2012, Gazebo), his electronic bands, but also in-depth collaborations with artists such as Jacques Gamblin (Ce que le djazz fait à ma djambe) or Abd Al Malik (Gibraltar), as well as co-writing two documentaries for Arte (Monk, 2010 and Mingus, 2011). In October 2016, he releases Riddles (Gazebo), a two pianos album with African legend Ray Lema, and publishes with Grasset a succesfull essay on keyboards inventors of the twentieth century, Les Fous du Son (soft cover with Folio in 2019). He also begins broadcasting a weekly radio show for TSF Jazz, Portrait in jazz, where he invites non musician hi -profile personalities to share their personal relationship with jazz music. 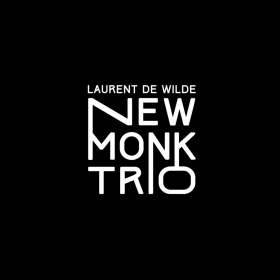 In 2017, the centennial of Thelonious Monk's birthday, Laurent puts out his New Monk Trio dedicated to the compositions of the Genius of Modern Music, which receives in 2018 Best French Album Award by the Académie du Jazz. The same year, he is elected Musician of the Year by the Victoires du Jazz, and is awarded the Grand prix Sacem for lifetime achievement. In addition to his own albums recorded with the Gazebo, Laurent produces on the same label other artists such as Géraldine Laurent (At work, 2015) or Eric Le Lann and Paul Lay (Thanks a million, 2018). Anotherrecording of Géraldine Laurent's is expected to come out in October 2019. A new electronic album by Laurent is presently in the works, in which he will play Rhodes electric piano, along with a drummer and an electric bassist.